Weta Collectibles Krampus Movie The Cherub Tree Topper. Krampus is coming, and he's left a very special delivery in a grimy sack at the front door. Don't bring it in because hidden inside are all manner of Christmas beasties, including a cherub who is anything but cherubic. In the Legendary Pictures Krampus Movie, young Max unwittingly unleashes the wrath of Krampus: a demonic force of ancient evil intent on punishing non-believers. All hell breaks loose as beloved holiday icons take on a monstrous life of their own! Weta Workshop contributed design and practical effects to this darkly festive tale of a yuletide ghoul. Close inspection reveals a cracked face, bloodshot eyes, sharp teeth, beastly eagle talons and clawed feet: details that cut right through this character's cute first appearances. Make no mistake, this is not a creature you want to meet in the dark attic on a cold Christmas Eve. A tree topper with a twist. 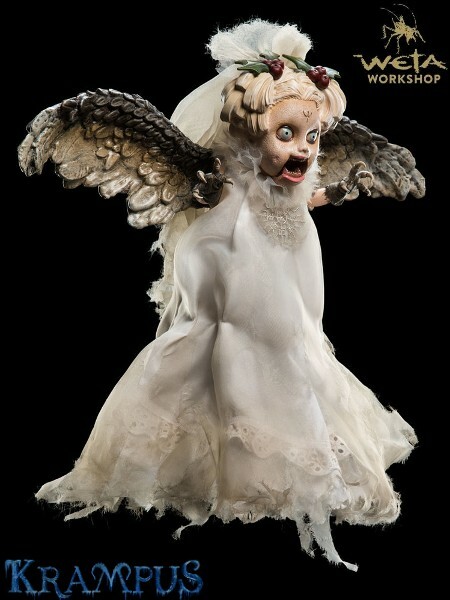 From our new range of Krampus Christmas ornaments, the Cherub Tree Topper is the macabre icing on your festive cake. Perch her on top of your decked-out Christmas tree or keep her close by on your desktop. One thing's for sure. With this devious little angel ready to wreak havoc, you're sure to have a very... eventful Christmas indeed. Approximate Product Dimensions are 11.81" x 16.14" x 4.33" (W x H x D) / 30 cm x 41 cm x 11 cm. 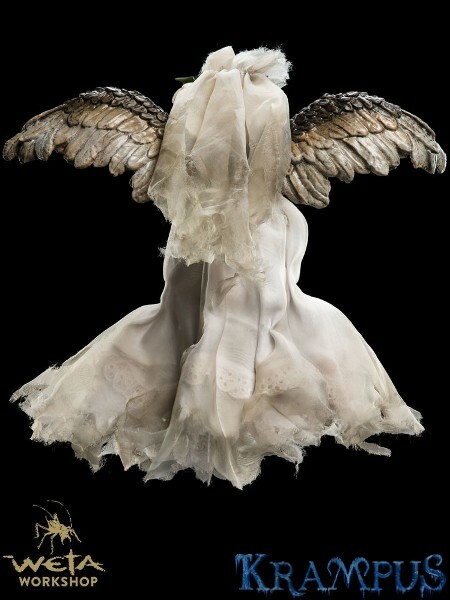 The Cherub Tree Topper is an Open Edition Piece.